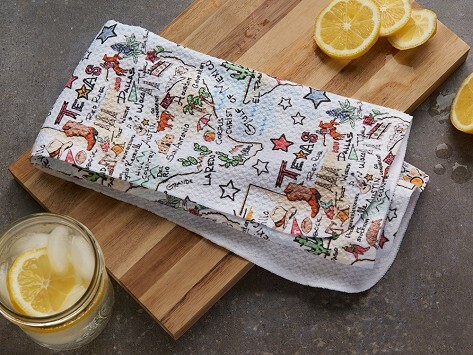 This state map towel celebrates your state in an equally charming and useful way—use it in the ktichen, the guest bath, at the bar, as a baby burp cloth, and so much more. 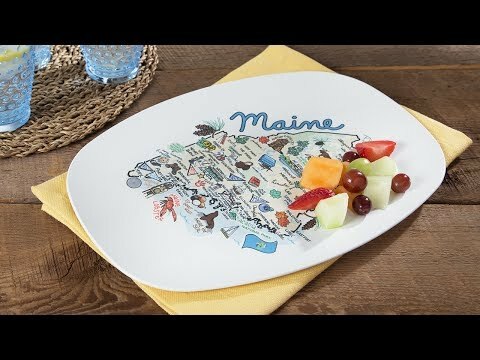 Maker Anne Klein’s original artwork highlights what’s special about each state, like its official bird and flag, and its notable landmarks. The subtle waffle weave pattern ensures that your favorite location is printed throughout. Gave this as a gift to our best friends who recently moved to Florida..they have this towel on display!